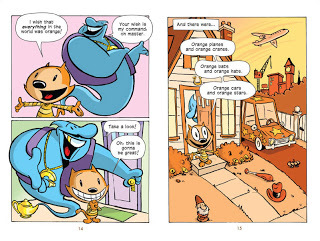 Otto's Orange Day by Jay Lynch and Frank Cammuso was one of the first books in the inaugural TOON Books line of beginning to read graphic novels that debuted in 2008. 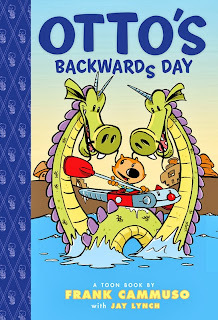 Now, for the first time ever (and to coincide with the sequel, Otto's Backwards Day) Otto's Orange Day is in paperback! Orange is Otto's favorite color and when his Aunt Sally Lee sends him an old lamp she found in a strange little store, Otto knows exactly what to wish for when a genie emerges. Chapter 2, titled, "Be Careful What You Wish For," details Otto's rude awakening in an orange world with a very funny scene in which he gives an orange lamb chop a taste test. The third and final chapter, "A New Wish," involves some clever trickery on the part of Otto and Aunt Sally Lee that almost seems like it will backfire - until the pizza arrives. 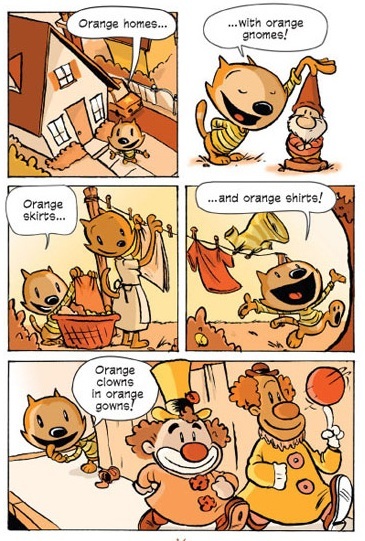 The illustrations and story in Otto's Orange Day are exuberant and exciting, even when the world is all orange. The story, which is a great way to introduce your kids to the story of King Midas, adds some creative new wrinkles to the tale also. 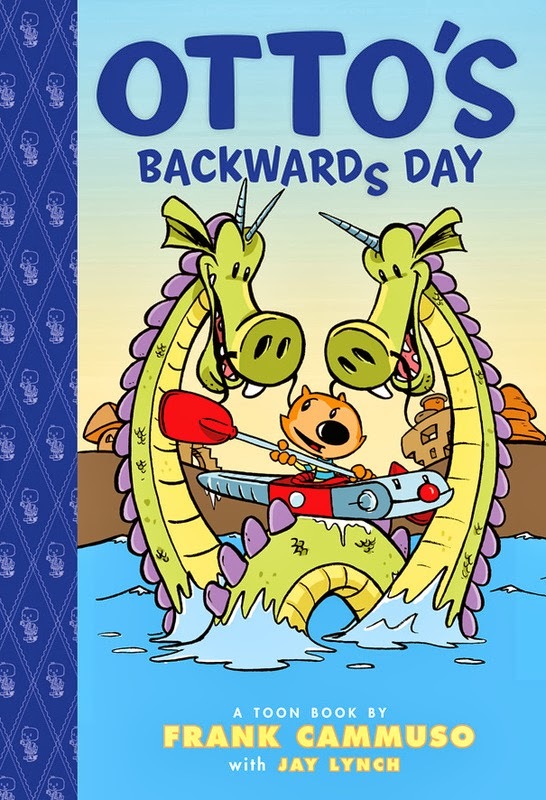 But, beyond the great story and illustrations, TOON Books provides some really great enhancements for this book as well as many other of their fantastic books at TOON Books.com along with some incredible resources for parents and teachers. The CarTOON Makers program, developed in cooperation with Professor Garfield, a non-profit educational collaboration between Garfield the Cat and Ball State University, that lets kids create their own one panel comics - from background, characters and dialogue! Even better, though, is the TOON Readers, a free resource that lets children read select TOON books online and in multiple languages! Kids can hear the books read in English, French, Spanish, Russian and Chinese! And, there are even select Read Along Videos with visual cues that help kids follow along in the adventures of their favorite characters.